The media is always doing a lot of scaremongering about food; ever noticed that? If not, don’t worry. It happens so much it’s easy to become so accustomed to it your brain simply filters it out. One of the worst things about it is, the media can’t even be consistent about the messages they send out. What’s good for health today may have the potential to kill you a few months down the line. None of this is surprising. The media latches onto any story that has the potential to sell papers of brings visitors to a news site. Eating too much fat is bad for you. We all know that. People have been telling it to us for years. Fat makes you gain weight, pushes up your cholesterol, and causes heart disease. Why this sudden about turn? It was because a “leading British expert” was saying so. You see one man really can make a difference. At least as far as the media goes. Fat is a nutrient. You need it. For one thing, it provides you with the fat-soluble vitamins A, D, E, and K.
Fat also contains nine calories per gram so eating too much fatty food is not a good idea. And, yes, saturated fats can push up your cholesterol level. Moderation in all things. A little bit of fat won’t kill you, but eating too much fat is not a recipe for longevity. According to Public Health England, no more than 11 percent of your daily calorie intake should be coming from saturated fat. Eggs have an undeservedly bad reputation. Thanks to media intervention, a lot of people see them as being the bad-boy of food. In 1988 the British Health minister Edwina Currie was busy telling everyone most of Britain’s eggs were full of salmonella bacteria. It was a bombshell that cost Currie her job. These days, eggs often take a beating over their high cholesterol content. However, according to an article in the Guardian eating an egg a day may help prevent strokes. The article contains a statement made by an employee of the British Egg Information Service. She states eating 20 eggs per week is “fine”, but warns against eating more than 12 per day. Eggs a good source of protein and Vitamins A and D. They are good for you and there’s no need to be chicken about eating them. If you store your eggs in a sensible manner and eat them before the “use by” date everything should be fine. A number of studies suggest eating eggs is unlikely to have a dramatic effect on your cholesterol either. So, unless your doctor has told you to avoid eggs there is no need to do so. However, eating 20 per week may be a bit OTT. Eating to excess is never a good idea. Breakfast is the most important meal of the day! Whether you eat it or not, sooner or later you will read it while drinking your morning coffee. In fact, according to an article published by CNN, your breakfast should be big. How big? CNN says 300 to 500 calories and you need to eat it within an hour of waking. The same article warns that skipping breakfast may make you 27 percent more likely to have a heart attack. Wow! Who knew? Yet, it seems the “news” hasn’t reached everyone. At least one reporter at The Sun appears to be blissfully unaware her life may depend on breakfast. According to her, lunch is the most important meal of the day. It must be important information as well. The New York Post republished the article to help spread the word. Thanks to an information overload courtesy of “the press” the wisdom of eating breakfast has become an enigma. However, the truth of the matter is, missing breakfast is unlikely to kill you. There’s a lot to be said for eating a healthy breakfast though. It helps to invigorate the body and sets you up for the day. The thing is, we are all different. Some of us don’t eat breakfast at all and forcing food on an unwilling body may not be wise. Experts at the University of Glasgow suggest breakfast is “just another meal”. Furthermore, they point out skipping breakfast can be beneficial because it prolongs our overnight fast. Additionally, they state you can do the same thing by changing the timing of the last meal of the day. The important thing is not whether or not you eat breakfast. It’s making healthy food choices. The same can be said for every meal of the day. Is coffee good for you or bad for you, the media finds it impossible to decide. According to the Washington Post, the coffee in California is so dangerous it needs to have a government health warning. Seriously. That’s for real. Read all about it. read all about it… read all about it! Strangely enough, depending on which Washington Post article you read, coffee is also mostly good for you or may help you live longer. Over at the Huffington Post, they like to be more specific about things. Their article doesn’t just let you know coffee can make you live longer, it tells you how much to drink. What’s the magic number? Three’s the charm. Additionally, it doesn’t matter if your three cups of coffee per day are decaffeinated or not. The people at the Huff are saying both are good. That poor, old Joe Black is not as bad as he’s painted. He’s just misunderstood. The reason so many people are down on coffee is because it contains caffeine. Whether that’s a good thing or a bad thing mostly depends on the person in question. A minority of people do not tolerate caffeine well. It only takes a tiny amount to make them feel jittery and unwell. Other people tolerate it so well they practically become caffeine junkies and suffer no ill effects at all. However, caffeine has a lot of virtues. It boosts energy levels, increases mental focus, and even helps the body to burn fat. In addition to caffeine, coffee also contains manganese, potassium, and several B Vitamins. 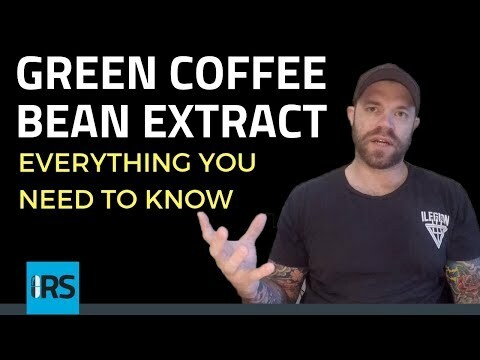 Green Coffee Bean Extract – Fat Burner or Fat Waste of Time? Far from being bad for you, coffee provides an impressive number of benefits and research proves it. Coffee is also high in antioxidants. In short, there are more reasons why you should drink coffee than why you should not. Of course, too much of any good thing can be a bad thing. The key is to enjoy your coffee sensibly and, if you have a problem with caffeine, drink decaf instead. Tony Jay is the CEO of AGJ Media. He is CPD accredited in Nutrition. He has 12 years experience in web content procurement specializing in the health, nutrition and wellness sector. Researched Supplements is a team of real people with real expertise within the fitness, health, sports nutrition and supplement industries. Copyright © 2019 · ResearchedSupplements.com is an informational resource intended for entertainment only. Do not use this website as a substitute for medical diagnosis. All content written is property of the website owners. All images displayed are either the property of the website owners or under licence. All videos displayed are either property of the website owners or publicly available. The views and interpretations on this website are from the authors. Any scientific data given has a verifiable link to where the data has been published.